Click here to Print, complete, and submit a New Membership Application. Don’t forget the General Waiver below. Your Membership will not be accepted without both of these forms, signed and submitted, together with your cheque for $25.00 per miata. Click here to download. Pring, complete, and submit a General Waiver. This MUST be submitted with your New Membership Application. Please complete a Waiver for EACH NEW Member, you can witness each other’s Waiver. Thank you. Click here to download. Print and complete a new one each year, and submit it with your annual membership dues by the 31st of January each year. Click here to view and/or print. Please review the Club's Privacy Statement. Click here to view and/or print Club Miatas Constitution & By-Laws. 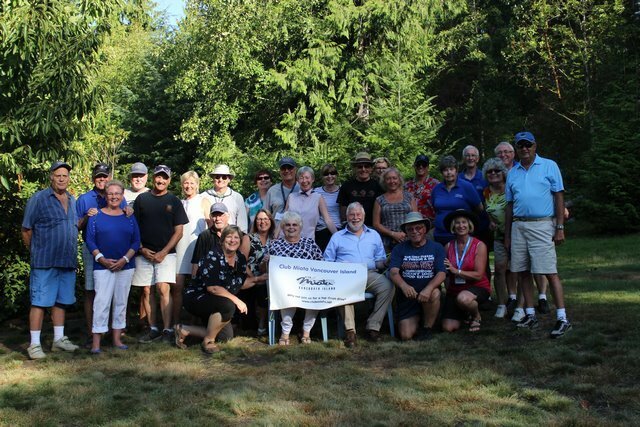 In 2015 Club Miata Vancouver Island formed a Non-Profit Society to protect our officers/directors and members from any and all liability while we participate in the activities and events of the Club. Each member is entitled to a copy of the Constitution & By-Laws by either downloading and printing from the link above, or requesting your copy at a nominal cost from the President or Secretary. Please note that this does not replace your personal liability coverage through your annual vehicle insurance. It is still your responsibility to have sufficient liability through your Miata's insurance. The Club Miata Vancouver Island uses email and this website to keep our membership informed. Members will receive occasional emails containing reminders for upcoming events and news. Additionally, all scheduled events and news are posted on these pages. We also have a private Club Forum. While not the first line of communication with our members, it is a great opportunity for personal interaction with Club Members and other Miata enthusiasts. Any member having trouble receiving emails should contact our Club President (please click as link). You can, of course, purchase additional Club Pins ($4.00 each) or Magnetic Signs ($6.00) through our Club Stores. We have a wide arrange of Club paraphernalia, including: pins, car magnetic signs, hats, etc. We also have the embroidery files at the following locations that you can take your own clothing in and they will embroider the Club Logo on for a fee of approximately $10.00 each.